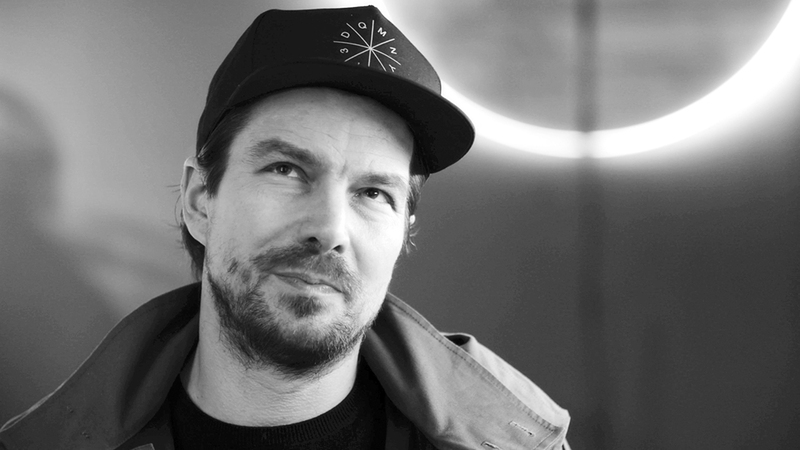 The Spanish company Vibia offers us this interview with German designer Stefan Diez, responsible for the design and creation of the original Guise lighting collection, a recipient of the 2018 German Design Award. 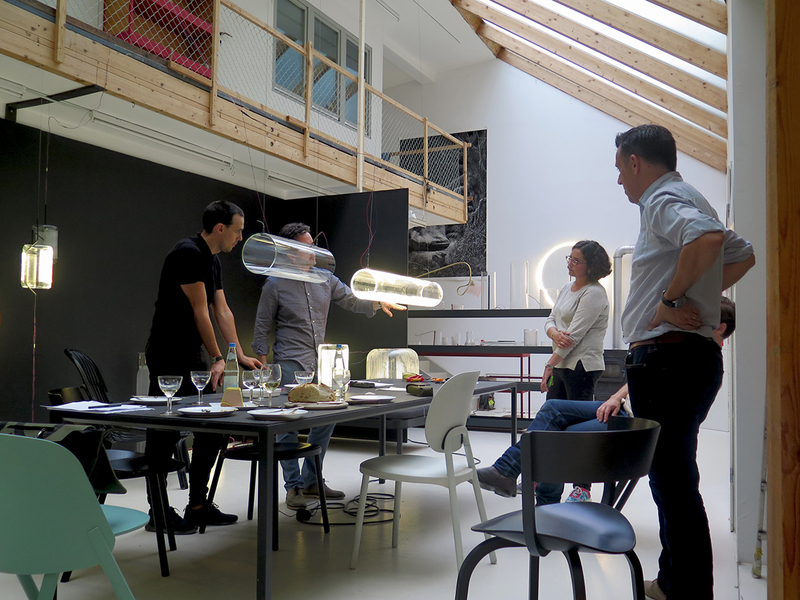 Like many projects by Stefan Diez Office, the GUISE family of luminaires evolved from a quest for a comprehensive method rather than a specific product. In order to explore the relationship between light and transparency, different materials were tested for their ability to reflect LED light. When paper turned out to be unsuitable for several reasons, Stefan Diez used PVC, acrylic and, eventually, glass: light conducted by glass is invisible, only emanating at the edges. In the case of the GUISE wall lamp, this quality of the material takes on a phenotypical shape that harks back to an archaic imaginarium. A slim row of LEDs is recessed into the flat disk. 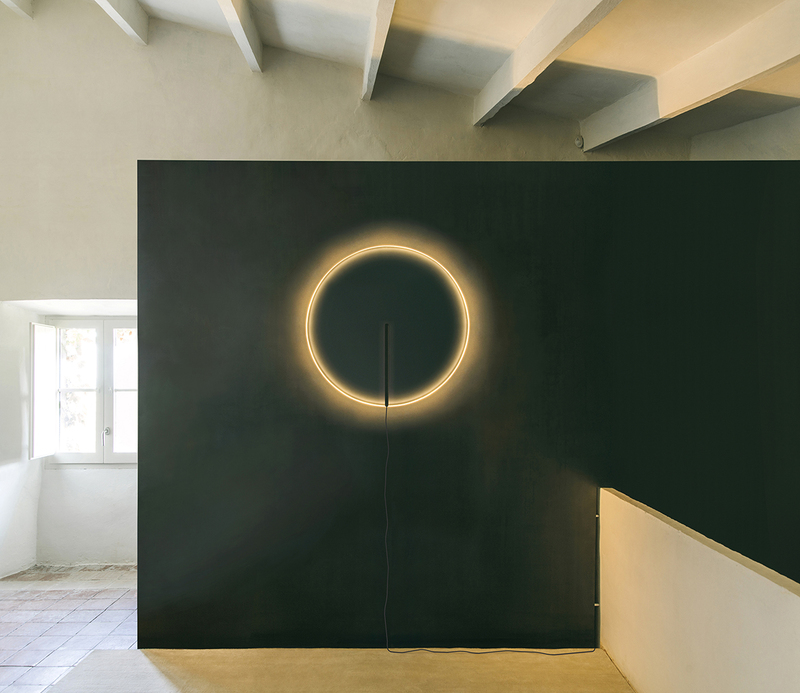 The light is conducted to the edges of the glass circle where it radiates with an intense glow. Utilizing the wall as reflector, the luminous quality of GUISE evokes associations of celes- tial bodies. 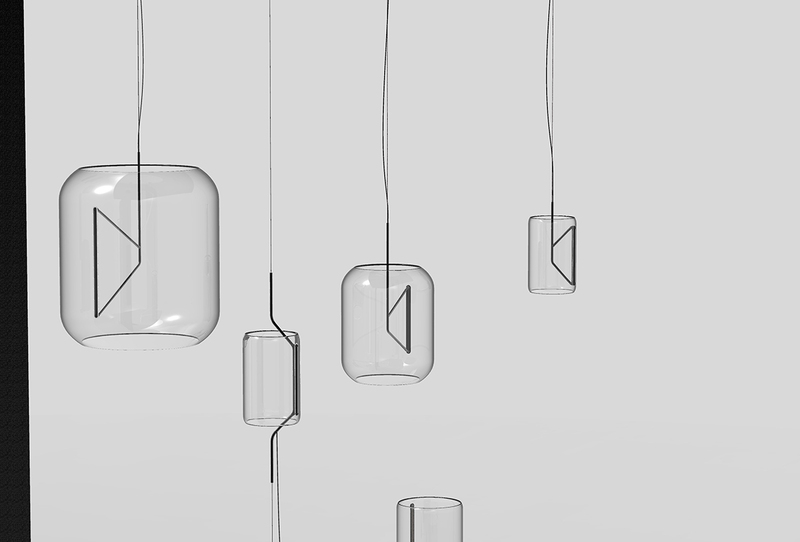 Following the wall lamp, different designs using the light-conducting attributes of glass were developed, in which the light source itself always remains invisible. The light emanates from patterns etched onto the glass cylinders, which thus seem to float in space like bright, radiant bodies. 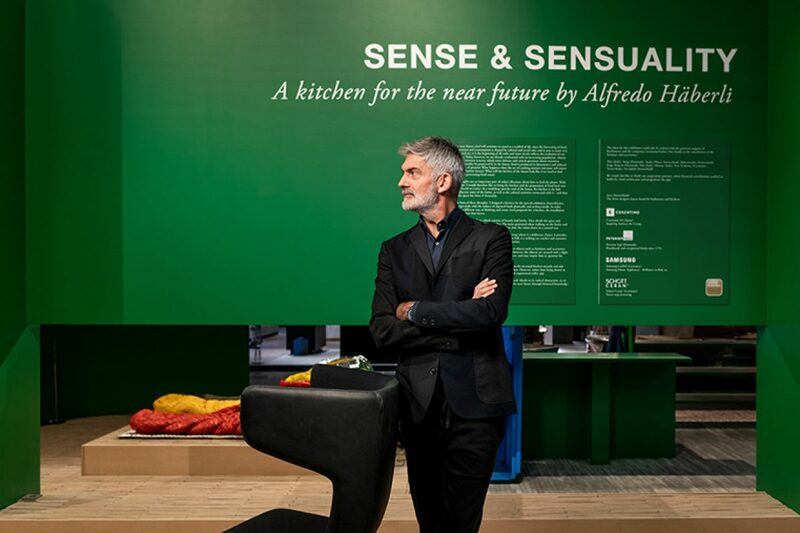 Stefan, you and your office are symbolic of especially experimental work with materials, with your designs often making the impossible possible. Can you talk to us about the concept of the GUISE collection. 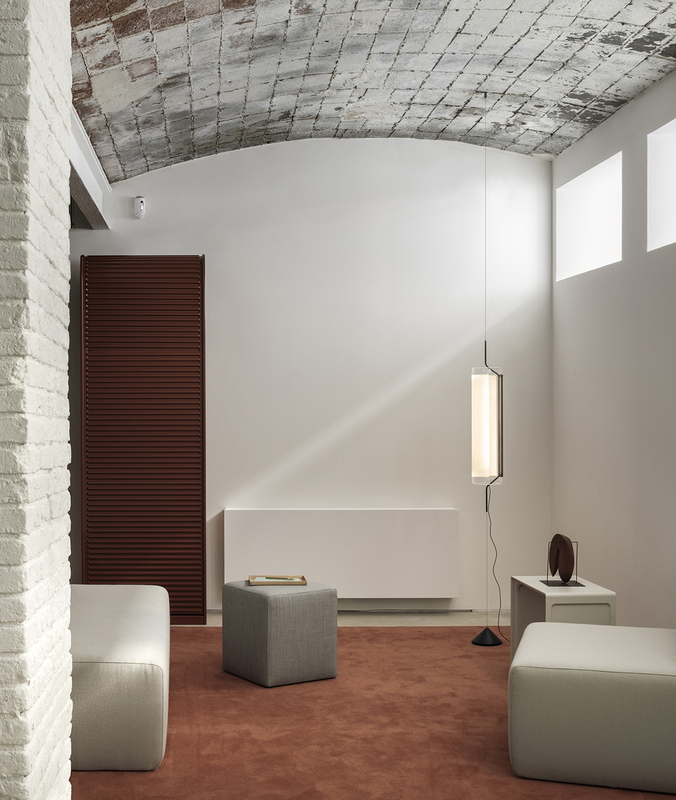 What is special about the lighting design for the Spanish brand VIBIA? 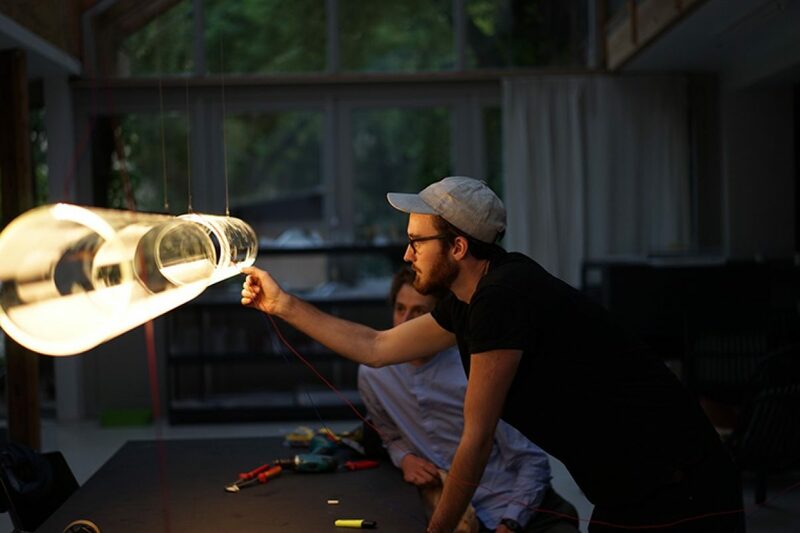 The GUISE light has a very special design, on which we worked with a lot of vigour and eagerness to experiment. 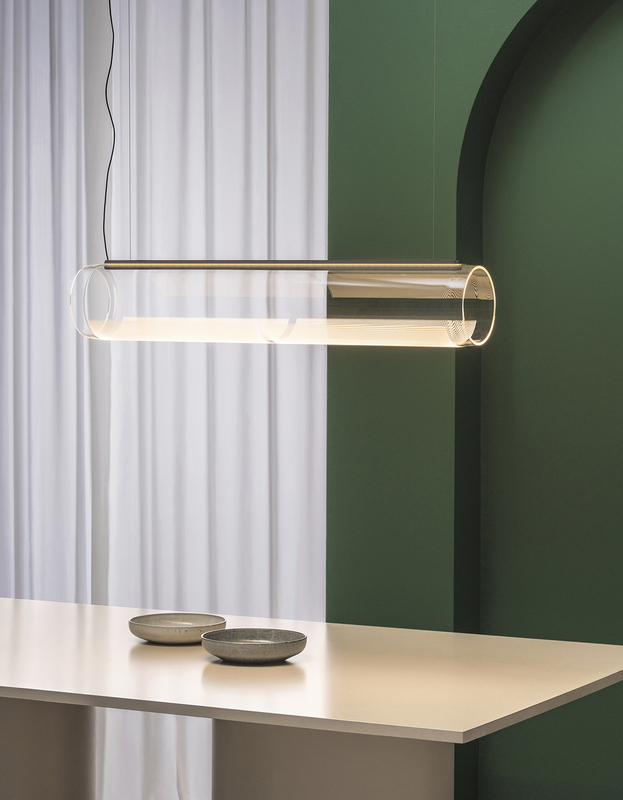 The different versions of the GUISE transform the bright, punctiform light of the LED via a corpus of glass into a beautifully soft, atmopsheric light. To achieve this, we exploited a physical effect, which you call total reflection: The light is fed into the glass corpus, in such a way that it invisibly distributes itself in the corpus and only emerges on the polished glass edge, where it produces a truly magical light. The technique, which you developed as part of the design, is it an innovation? If so, why? No, the technique behind the design is not new. It is known in a different context: It is already being used as background lighting for LCD screens or for emergency exit signs from perspex. However, what is new, is that the LEDs are so powerful and yet efficient, that the heat development can almost be ignored. That way the discreet incorporation of the LEDs into the glass corpus was thus possible. What applications does the GUISE collection cover? 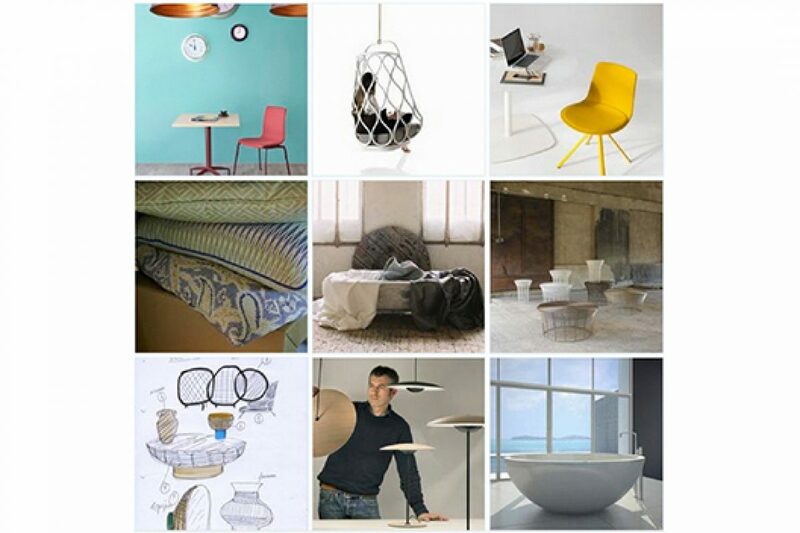 We already developed a number of applications for the GUISE: as wall lighting in the form of a glass disc, which can be directly mounted in front of the wall or as a pendant light in form of a horizontal or vertical suspended glass tube, for example as table lighting or for a more general room lighting. 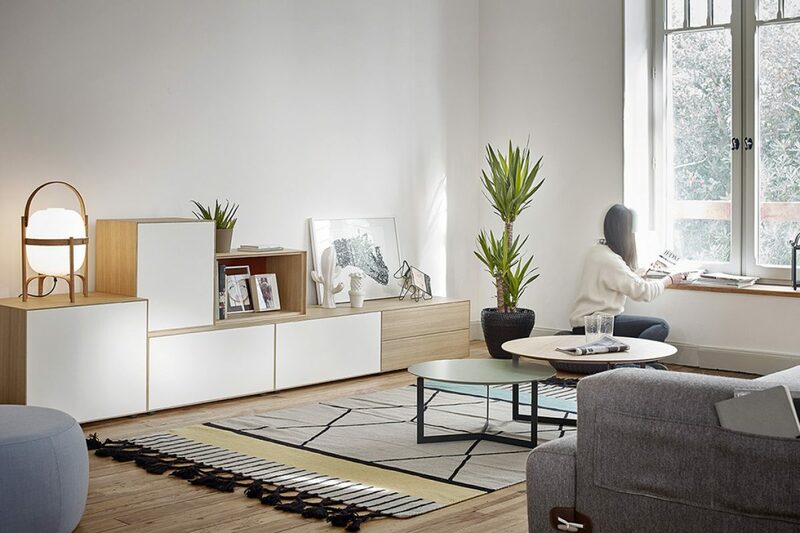 What is the 2.0 version of the lighting collection, which was introduced in March for the first time at Light+Building 2018? Is this an additional application? Have you developed the concept of the light further? 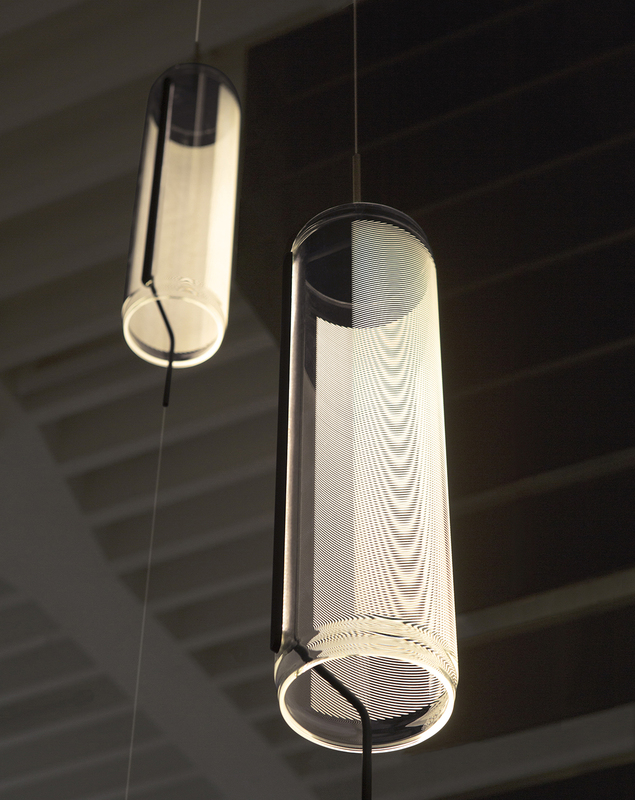 Also the version 2.0 of the GUISE light is based on polished glass tubes, in which the LED light is fed. In contrast to the first version, a majority of the light in the version GUISE 2.0 is emitted alongside the tubes in a bundled form. 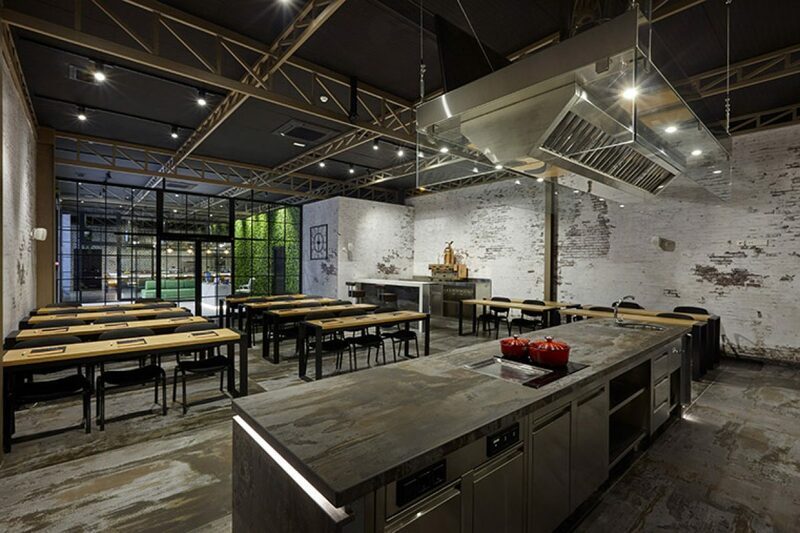 This way, the new version can also be mounted directly to the ceiling as well as suspended and used for spot illumination of bars and tables. This version should be entirely finalised and available in the course of this year. 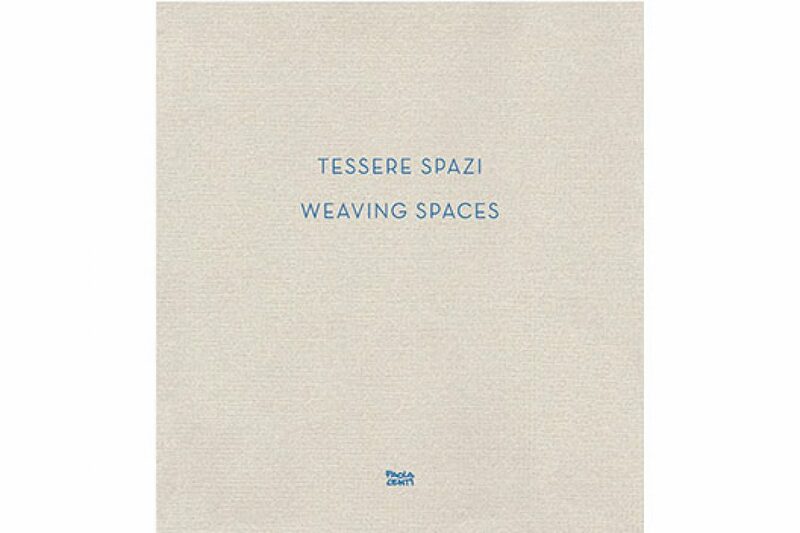 How would you describe the light effect of GUISE? What lighting atmosphere does the light produce? 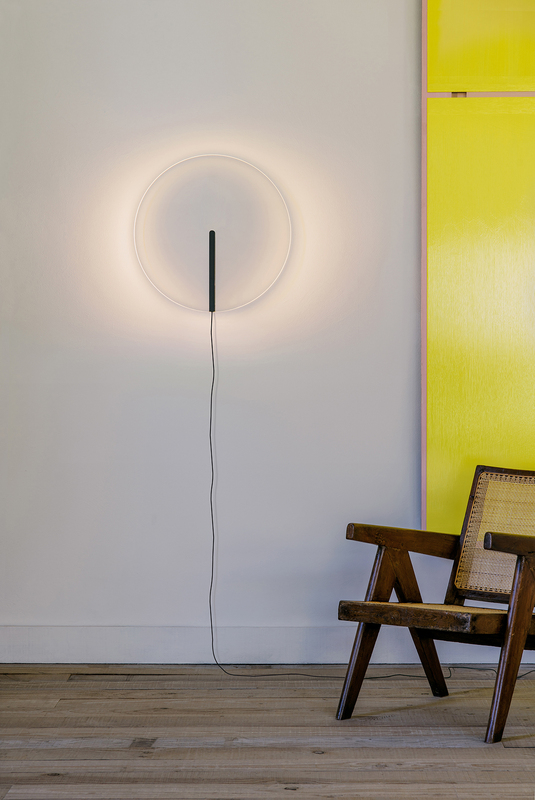 GUISE distributes the glaring, punctiform light of the LEDs into an extremely soft light. I personally think, that this effect is most impressive with the horizontal pendant lights, which wrap the entire table into a soft light. In what kind of interiors do you see GUISE? 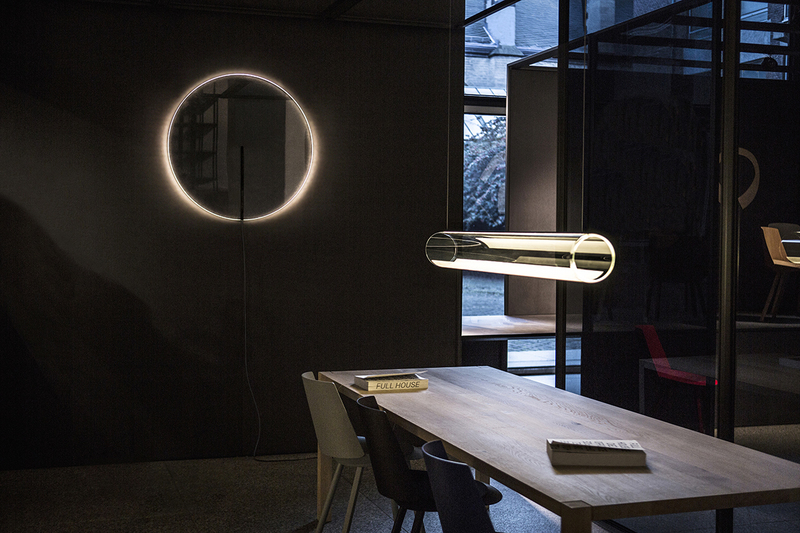 In your view, is the lighting collection suitable for both private and public interiors? 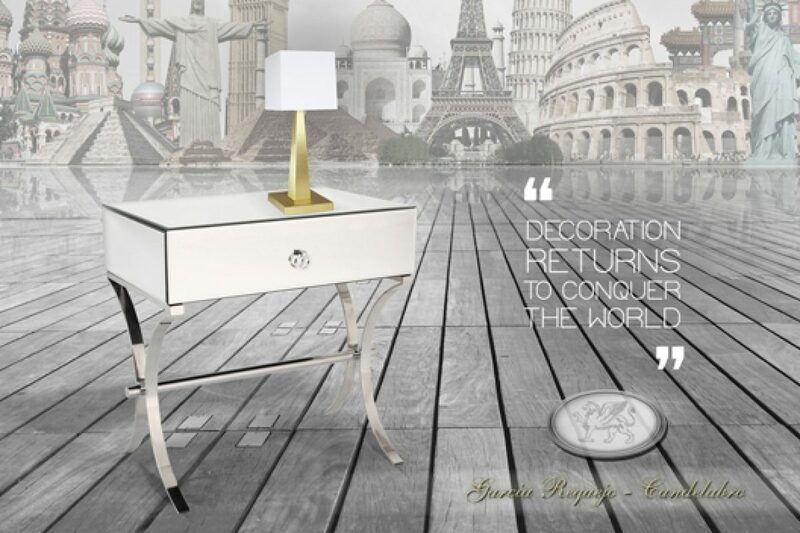 In my opinion, GUISE is a light that is very versatile and suitable for both, private interiors as well as for hotels and other hospitality areas. 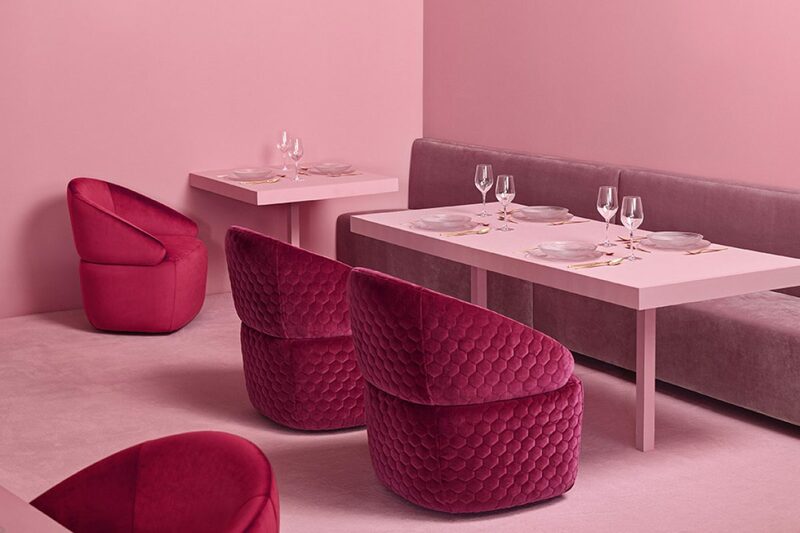 Munich-based Stefan Diez was born to a family of fourth-generation carpenters and trained as a cabinetmaker before studying industrial design at the State Academy of Fine Arts in Stuttgart. 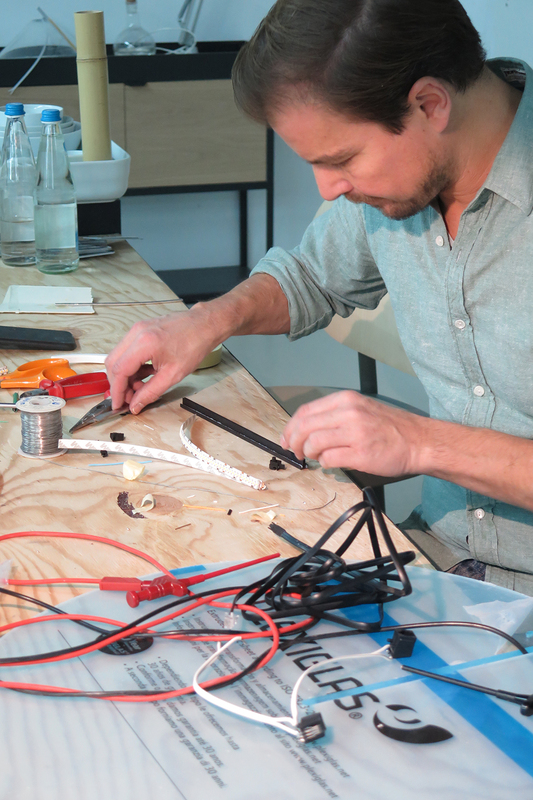 After working for the renowned designer Konstantin Grcic, in 2003 Diez founded his eponymous studio, employing a team of local craftsman and technical specialists. 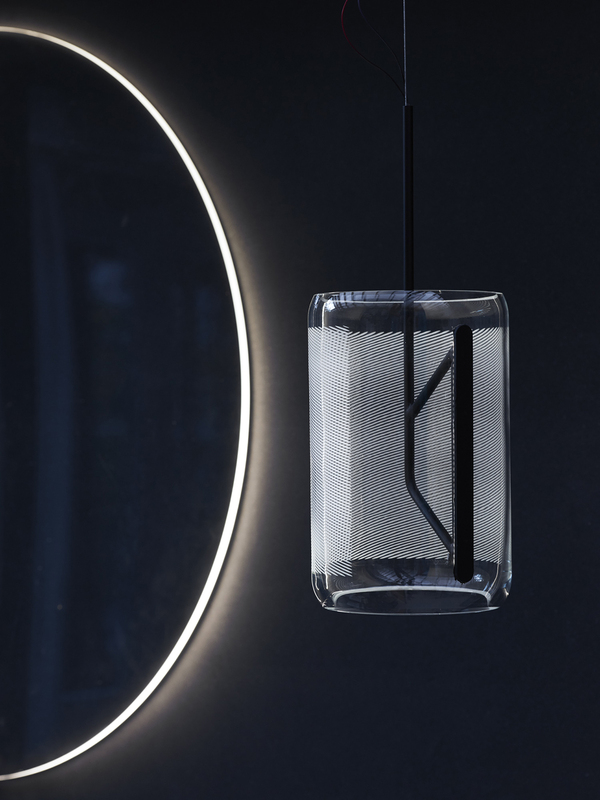 Known for using simple materials to create his award-wining furniture, tableware, and lighting, Diez designed the GUISE collection for VIBIA, a recipient of the 2018 German Design Award.